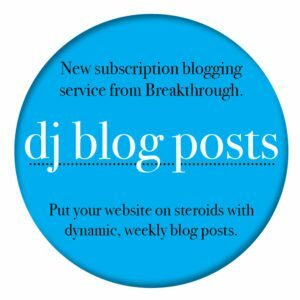 Blogging For DJs - Breakthrough Marketing, Inc.
NEW! A powerful, longterm marketing strategy - DJ Blogging! Blogs boost your website IF you post at least once a week. 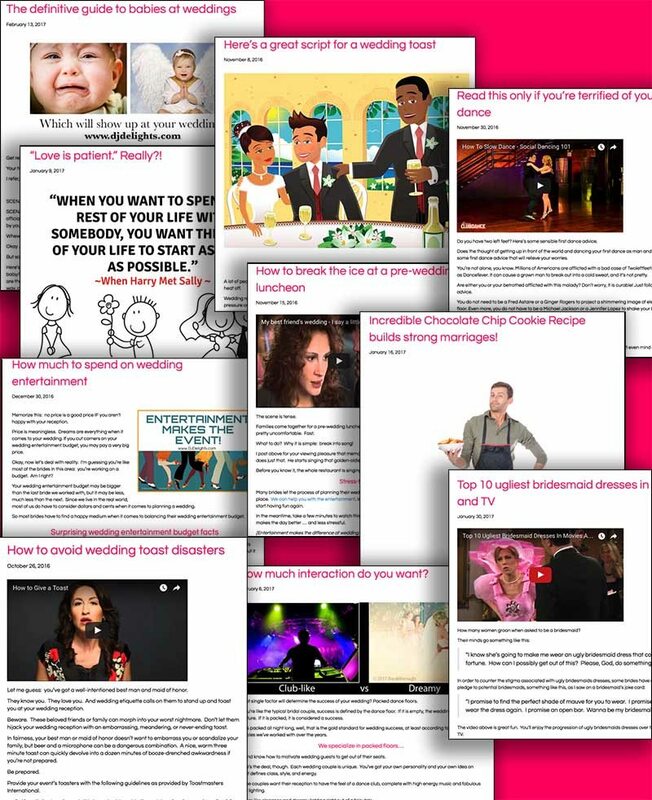 We will post a wedding-oriented blogpost every Monday on websites we build. Blogging benefits are for real! Drives more traffic to your website, because you’ll show up more often in organic searches. Helps to convert traffic into leads. Creates long term results, because old posts continue to show up in search engines. Allows you to expand on your keywords. Supports your social media efforts by providing content. Creates opportunities to generate inbound links. Allows you to achieve ‘freshness’ which Google loves. Boosts your email campaign by creating user-friendly, soft-sell content.